But then on one of my weird and wonderful web-browsing sessions I came across Valfre. They're a company based in the US of A who create and sell their own range of clothing, accessories and paper-based goods. And that's all good clean fun, their t-shirt range contains some delightfully creepy designs that half freak me out and half make me want to buy everything they have. But above all, their phone cases are perfectly quirky. None of their designs appear to be within the spectrum of what people would define as 'normal'. 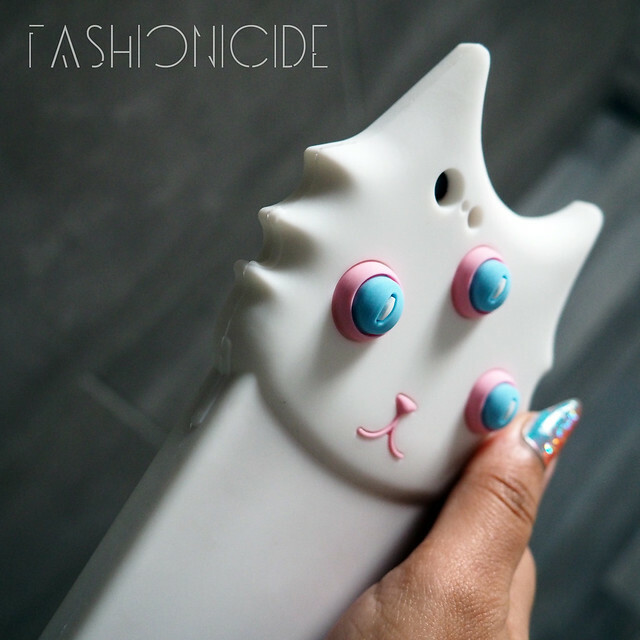 They have some phone-shaped cases that look very pretty, with what can only be described as batshit-crazy designs, and they also have some odd-shaped cases on their site too, and those are the ones that really grabbed my attention. You can either go for the Spray-can, the lipstick, the shell, the milk carton, the poptart or the pencil shaped cases, but my favourite is the Three-Eyed Cat - it's just so out of the ordinary, that when I first laid eyes upon it, I knew it just had to be mine. Regardless of the price ($38), the shipping costs ($11) or the customs charges (£13) it's worth it. I've been so besotted with the thing, I don't even know how much sterling all that even adds up to - I just don't care! What really stands out about the case though, head and shoulders above all other Silicone '3D' case designs I've seen and had before, is that it still feels like you're actually holding a phone in your hand. 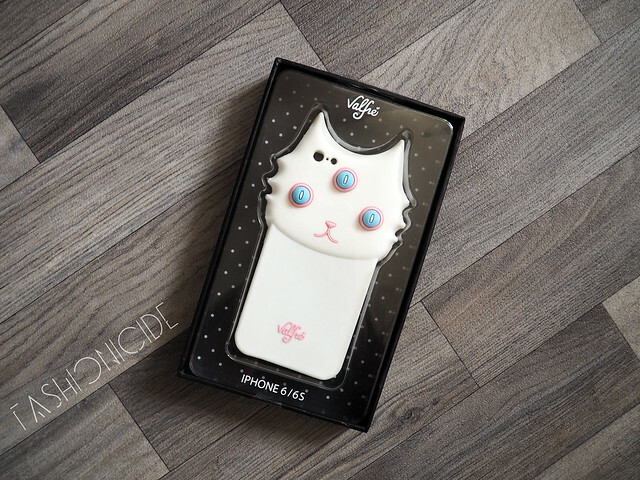 I've had other, cheaper cases that are much bulkier and make holding the phone pretty awkward and unnatural, but Valfre have got this one spot on. You know the case is there, but it doesn't take (much) away from the fact I'm holding a slimline iPhone 6s in my palm. 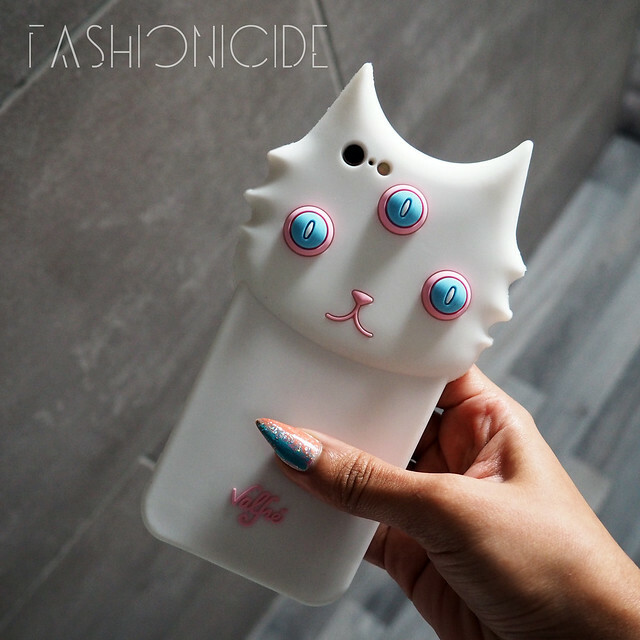 If you're after a unique, functional and above all, pretty phone case, check out Valfre - if you're ordering direct though, be prepared for those pesky customs charges! There is one UK stockist that I know of, Spoilt Brat, however they don't have the entire range unfortunately. boo-freakin'-hoo! Omg this phone case looks amazing I'll Defo have to check them out! 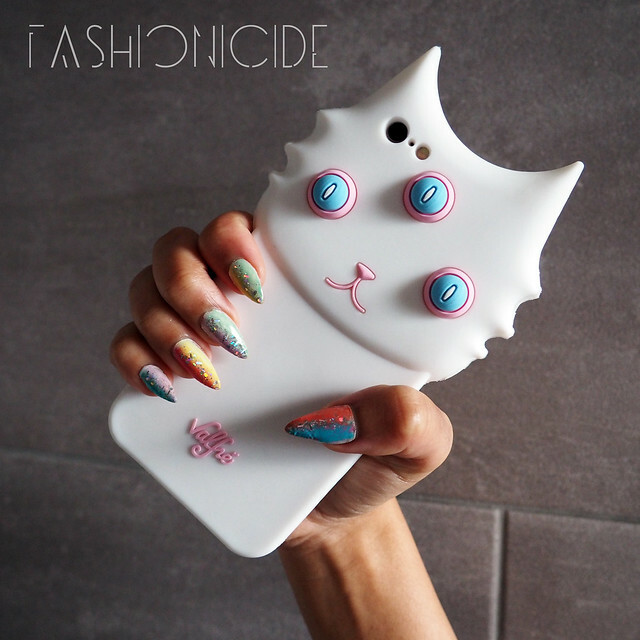 This case is really cute and quirky. I'm always pretty boring when it comes to my phone cases, I clearly need to branch out and go for something more fun. Although my ipad cases are usually pretty cool, it still doesn't beat a three eyed cat. Your nails are also stunning! What are they done with? I love all the different colours! Man this case is so amazing, im dying to get my phone in one!